After wrapping up the second year of the Humans of UW Bioengineering blog, recent B.S. 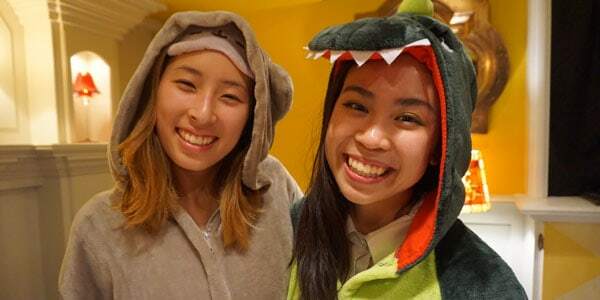 grads Vanessa Nguyen and Samantha Sun reflect on their motivation to become involved in the project and how they found inspiration in sharing their fellow students’ stories. Hi, I’m Vanessa. I work in the Baker Lab and co-author the Humans of UW Bioengineering blog. In the Baker Lab, I’m doing my capstone research and working as a lab technician. My research involves engineering proteins to make a general platform for characterizing antibodies for therapeutic purposes. After graduation, I will continue attending UW pursuing a Ph.D. in bioengineering. Coming into college, I was set on the pre-med route, and BioE seemed like a safe choice as a major in case I decided not to follow through on medical school at any point. I actually started working in the Baker Lab as a technician to help me get into the major and didn’t have any interest in research coming into college. Through working in the Baker Lab and being in BioE, I grew to love research and tackling open-ended problems, and just having big ideas with other people who also have big ideas. That’s why I’m really excited to start graduate school; it really feels like I’ve found something that I really enjoy doing and want to work hard at, rather than just choosing something like medical school for the comfort of it. A big part of why I wanted to take up the Humans of UW BioE blog this year was because I struggled a lot with my mental health through core. I remember I was talking to Yoshi one day junior year about the exact story we posted on the blog, since he was preparing it for a TEDx talk he was giving. I remember feeling so inspired by his story because he handled it so differently than I would have, and I could see how he grew from it. Just by listening to his story, I felt like I was able to learn something too and gain a better understanding of what I was struggling with. At that point, I thought I had a lot figured out, especially in terms of my mental health. 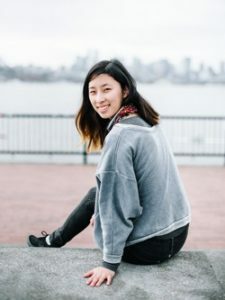 I wanted the Humans of UW BioE blog to have that same effect on other people, to humanize students in the department but also indirectly help or impact other students experiencing similar stories. As I interviewed people throughout the year, I learned more and more that I didn’t have it all figured out. I was learning things that I didn’t think I would or need to learn through these stories. It’s funny because I started this project wanting to help other people through these stories, but I’ve been helped so much personally just by listening. It was actually through listening to Kim’s and Adam’s stories that I finally pushed myself to go to therapy. The most important thing I learned in college was to not get too caught up in the hustle. I spent a lot of time in college trying to do everything perfectly. Not only were there not enough hours in the day, there’s also so much more than just academics and career that I want to put energy into. I want to be wiser, more empathetic, and more connected to the people in my life. It was easy to get tunnel-vision during undergrad and focus only on the work and the end goal, but I’ve started to slow down and really think about what I want from my life as a whole and I’m a lot happier. When I was caught up in the hustle, it felt like I didn’t have any agency in my life. Now it feels like I’m remembering to breathe again after I’ve forgotten that I’ve been holding my breath all this time. My name is Samantha Sun, and I worked in Dr. Christine Mac Donald’s research lab, investigating advanced neuroimaging and analysis tools and how we can use them to diagnose pediatric concussion. During my senior year, I was also involved in Husky Badminton Club and was one of the storytellers for Humans of UW Bioengineering. After graduating, I will be continuing my education at UW in the bioengineering Ph.D. program, specializing in neural engineering. This past year, I learned that I was able to empower others by sharing their story and to have the confidence to tell my own story as well. 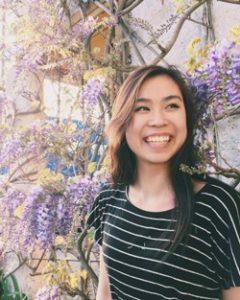 My motivation to take on Humans of UW BioE came from wanting to know my classmates better. As someone who is introverted and filled with self-doubt, I was dazzled by the accomplishments and success stories that I constantly heard about my classmates. But from a few, brief interactions with some of them, I saw pain, frustration, and insecurity — the same feelings that I struggled with for a long time. We shared stories and empathized about the bad times — failed relationships, imposter syndrome — and laughed about the good ones, with our 4th floor Foege entire-cohort study groups or certain classmates falling asleep in lecture. I learned that we are not as alone as we think, that the experiences we share are just as unique as they are the same, and that there is comfort in confiding in each other and knowing that there’s someone else out there who is willing to listen. It was so difficult to admit that we were not okay, but I wanted to change that. I wanted to share our struggles and pains and successes and joys with each other. I wanted to highlight how diverse and interesting each and every one of us is outside of BioE. I encouraged others to share their story and to be a little vulnerable, and I believe that these stories helped start a conversation about difficult topics such as mental health. With every 30-minute interview, it seemed like I learned so much about myself and what I value. I learned about how important friendship was in such a large university, how failure is much more common among us than what meets the eye, and tips for self-care and self-discipline. I learned not to be too hard on myself and to take time to celebrate the wins, no matter how small. I learned that there was so much vibrancy and diversity in perspective among my classmates, and I wanted to share these perspectives while challenging my own. If there was anything I regret during my time here, it would be not having these conversations with my classmates more often. As we all move forward with our lives and encounter many new people, I hope to carry these lessons I’ve learned and to share them with the people around me.